With the NCAA Tournament beginning, these will be the final games we see several Kentucky Wildcats before they head to the NBA Draft. Over at ESPN, four Wildcats are still on their newest NBA Mock Draft, and PJ Washington has overtaken the top spot of the four. Keldon Johnson was long projected to be the first to be picked out of him, PJ Washington, Tyler Herro, and Ashton Hagans, but his recent play has dropped him out of the lottery all-together. 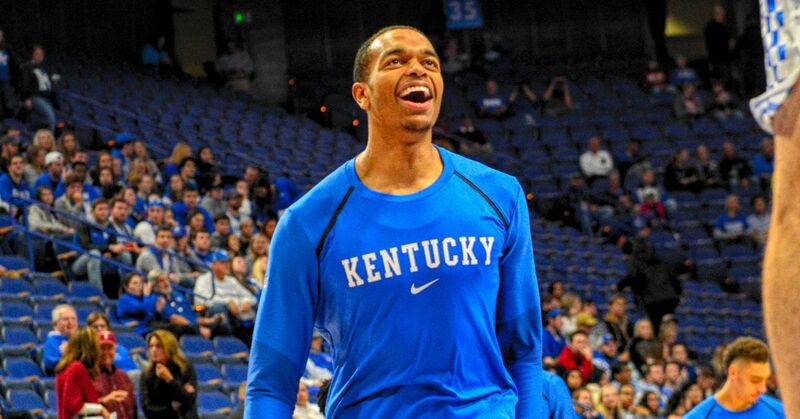 PJ Washington is the projected 13th going to the Miami Heat to pair up with former Wildcat Bam Adebayo. Washington’s recent play towards the end of the season has warranted him to be taken in the lottery, as he is turning in to an NBA caliber stretch power forward. Keldon Johnson has dropped out of the lottery completely due to his inconsistent play. There’s no doubt that he has the most NBA potential on the team, but he has yet to truly show it and that has dropped him to the 15th overall pick to the Orlando Magic. Herro has shown he can score at will and create his own shot. That is good enough to land him at the 20th overall pick, currently going to the Oklahoma City Thunder and pairing up with Russell Westbrook and Paul George. He’s almost certainly not coming back. Ashton Hagans is the lone Wildcat to be projected in the second round, at the 41st pick going to the Atlanta Hawks, where he would presumably back up Trae Young. With Hagans not playing to the level that he was in January and December, his stock has dropped and this very well could lead to a sophomore Ashton Hagans on the 2019-2020 Wildcats squad to team up with Tyrese Maxey and Immanuel Quickley. One thing is for sure: March Madness will go a long way in determining if guys like Herro and/or Hagans are ready for the NBA or if they need another year in college. Herro needs a good showing in the Big Dance to validate his first-round status, while Hagans really needs a big month just to put himself in the first-round discussion. Of these four Cats, which do you think ultimately leave for the 2019 NBA Draft? Let us know in the comments section. 12. Timberwolves – Kevin Porter Jr.